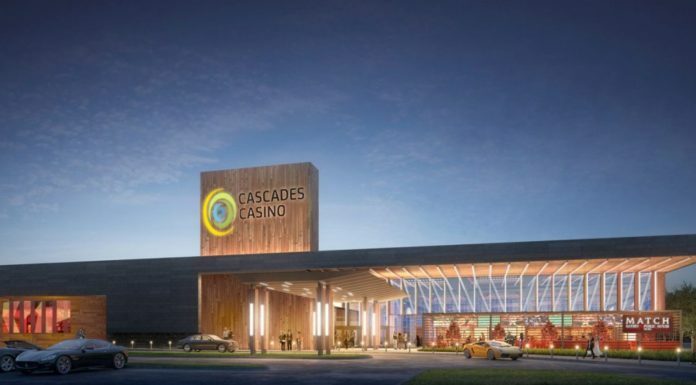 Casino in Chatham-Kent Could be Open for Business 3 Months Ahead of Schedule. News of a brand-new casino establishment in Chatham-Kent, comes after CEO of Gateway Casinos & Entertainment, Tony Santo, conducted a meeting with council members and local press last week. 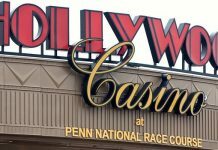 He is said to have provided a tour of the site where the new casino is being constructed, as well as an update confirming how completion was already way ahead of schedule. Finishing touches are being applied to the building’s exterior, which will incorporate fully-sealed, large glass sections within the next few weeks. And although the property was expected to have all work finished by August 15th, Santo expects completion will be three months premature, and hopes to open the establishment by July 1st. “We’re really excited and anxious to get the property open,” Santo said to press. The project is being carried out by a local contractor called BLT Construction Services, and the firm’s manager, Robert Principe, said the final stages will take place around mid-March. Mayor of Chatham-Kent, Darrin Canniff is said to be pleased with the progress and efforts made surrounding the new gambling facility. “It really makes a statement that Chatham-Kent’s open for business,” Canniff said. “I’m looking forward to the opening and just seeing it become one of the community hubs,” he added. The casino, which is yet to be given a name, is set to feature a 45,000 sq. ft. gaming area, along with 333 slot machines, 12 table games, and 2 signature family-friendly restaurants with no age restrictions. “We don’t design it where people feel like they have to go into the casino. It’s really about coming here having a good time. If you want to gamble that’s fine, if you don’t that’s fine, too,” said Santo. “I think it’s going to be a great entertainment facility and it’s going to be a place where people can eat, drink and have a good time.” He added. Santo also confirmed how the recruitment process has already begun and how the casino will generate over 200 new employment opportunities, with 100 of the operator’s existing employees to have their contracts transferred over from the Gateway Casino in Dresden. While some locals have expressed their concerns over a large-scale gambling facility in the town, the Mayor said that he has received mostly positive appraisal since the original proposal for the project was put forward. Gateway Casinos is a Canadian-based entertainment and gaming company with headquarters situated in Burnaby, British Columbia. Founded in 1992, the company currently operates 12 casinos throughout BC and Alberta, including The Grand Villa Casino & Convention Centre, Starlight Casino, Cascades Resort, Lake City Casinos, the Baccarat & Palace Casino, Chances Community Gaming Centre, and Newton Bingo Hall to name a few. 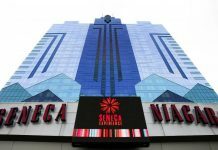 They also own and manage an additional 24 gaming facilities throughout Western Canada, and are considered one of the largest gambling and entertainment operators in the country. Currently there are a combined total of over 8,000 employees in their establishments, over 13,000 slot machines, 429 table games (including 48 poker tables), over 80 bars and dining facilities, and 561 hotel rooms. 2017 marked the company’s 25th anniversary in the Canadian gaming industry, in which they held communal celebrations with staff and locals in Surrey. They also made their annual contribution of $5,000 to local charities in the area, in which The Evergreen Transition House was said to be selected for the occasion.